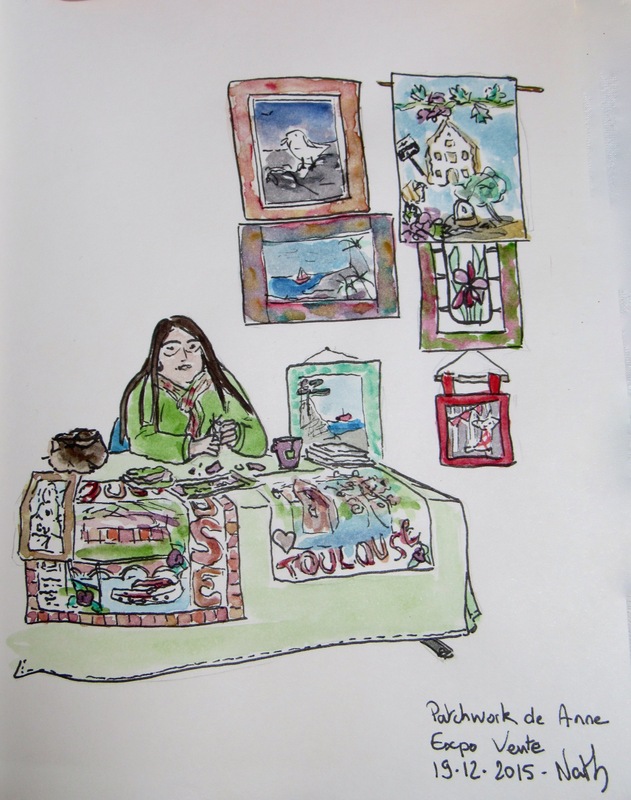 My friend Nathalie had some fun drawing me as I was whiling away the time (at the Artisan sale in our church) cutting fabric and making yet another quilted wallhanging. She drew this picture, of me sitting behind my stand, with a black pen, then filled it in with water colors, all in her little 5″x7″ notebook. I then took a picture of it with my camera. She’s an amazingly gifted artist!